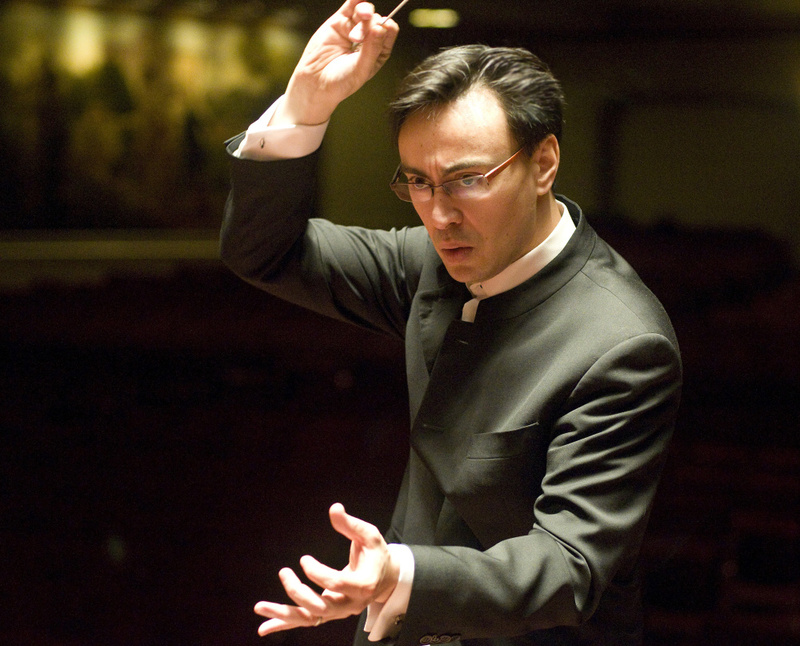 The Portland Symphony Orchestra didn't deliver on Ken-David Masur's reading of Wagner. Ken-David Masur must have been mightily puzzled when he stepped off the Portland Symphony Orchestra‘s podium on Wednesday evening. The orchestra closed the concert with a powerful, polished performance of the Brahms First Symphony, but just two hours earlier, the musicians gave an account of Wagner’s “Tannhäuser” Overture so marred by inconsistent intonation and infelicities of ensemble that it was hard to believe it was the same orchestra. One of the three candidates for Robert Moody’s post as the orchestra’s music director, Masur was at Merrill Auditorium to lead the orchestra in a 19th-century program that included the Wagner and Liszt’s Piano Concerto No. 1 in E flat major on the first half, and the Brahms after the intermission. The concert was, in effect, his public audition, or part of it: Masur is also scheduled to conduct a pops program, and he picked up the classical concert that was to have been led by Alexander Mickelthwate, who withdrew earlier this year when he accepted a position elsewhere. Currently the associate conductor at the Boston Symphony Orchestra, Masur has an estimable background. He grew up in Leipzig, where his father, Kurt Masur, was director of the Gewandhaus Orchestra, and began his musical studies as a singer, both in the Gewandhaus Orchestra choir and as a student of the great bass-baritone Thomas Quasthoff at the Hanns Eisler Conservatory in Berlin. After his father became music director of the New York Philharmonic, Masur enrolled at Columbia University, where he moved into the family business by founding and leading the Bach Society Orchestra. He then held positions with Orchestre National de France in Paris and orchestras in Munich and San Diego. I have heard Masur conduct the Boston Symphony Orchestra and the Tanglewood Festival Orchestra, and have found him to be a thoughtful conductor with a fluid, communicative baton technique and some fresh interpretive ideas. But it may have been one of those ideas that came to grief in the Wagner. Masur took the work at a leisurely, if not quite glacial pace, and you could see what he was after: The music of the Pilgrim’s Chorus from the opera’s first act, which opens the Overture, can be a more deeply meditative passage at a slower tempo, and elsewhere, slowing the action can yield interesting insights into the ingenuity of the work’s construction. It’s a risky concept: Executing it requires an orchestra that can play Wagner’s dense scoring slowly without losing tone or struggling to keep together, and on Wednesday, the Portland Symphony was not that. Little went right, starting with the orchestra’s disunity in the opening. The descending, slurred violin figures that run through much of the work were disappointingly tepid and a bit sour; eventually you had to avert your ears and focus instead on the brass, which was having an easier time of it. The performance improved momentarily at the molto vivace section, midway through the piece, but that respite was brief. The same imprecision heard in the opening passage of the Wagner afflicted the orchestral opening of the Liszt, but thereafter the orchestra played more cohesively and provided solid support for the soloist, Ran Dank, who played Liszt’s dazzling piano line with energy and flexibility – in particular, a bracingly large, brilliant sound in Liszt’s showier passages and striking delicacy in its more introspective ones. Masur and Dank were of a single mind, interpretively. Masur’s approach to the Brahms was as unusual, if not as risky, as his reading of the Wagner, but here the orchestra was able to bring his ideas to life. Here the strings and brass, particularly, were in superb shape, and there was some distinguished solo wind playing (the exposed oboe writing, for example), as well. And if there were places where one might quibble over a tempo or a phrasing notion, Masur made a strong, persuasive case for his vision.